One of the more visible historic buildings in Warrington Township is the Irwin House located on Easton Road at the end of Shetland Drive next to the Township Building. The building is owned by Randolph A. Scott, Esquire, who uses it as a law office. He said the building was, “run down and in need of extensive repair” when he purchased it in 1980. Those repairs have been made and the building now presents an appearance, which is pleasing to the eye. The Nathaniel Irwin House, as it is now known, stands on the property purchased by Daniel Pritchard from Thomas and Richard Penn in February 1734. The property passed into the hands of Robert Tompkins in 1736. Tompkins constructed a dwelling on the site, and in later documents it was identified as “Mansion-House” suggesting that it was substantial. 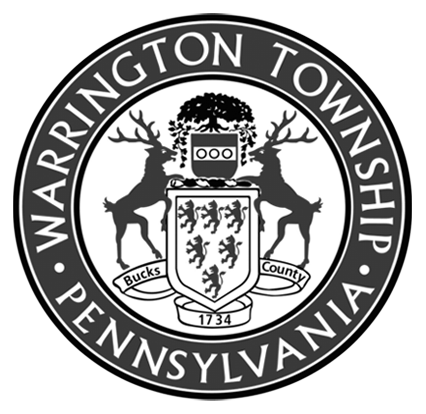 Tompkins was constable of Warrington Township in 1738. John Campbell, a Philadelphia merchant, bought the property in 1777 and rented it to Nathaniel Irwin, who was a minister of the Neshaminy Presbyterian Church in Warwick. Irwin bought the house from Campbell in 1785. Irwin demolished the original house and built a new house in 1809. There is evidence that supports that the foundation of the house dates back to 1734. He sold the property in 1823 and it went through a series of owners until 1865. During the years of 1851-1855, the house was owned by residents of Philadelphia as a summer residence. In 1865, Richard J. Dobbins purchased the property to remain in his family’s possession until 1939. Scott’s property was recognized by the Board of Supervisors and the Historic Commission as a historic site last September. Anyone having a question about the historic recognition program should contact the Township Office.